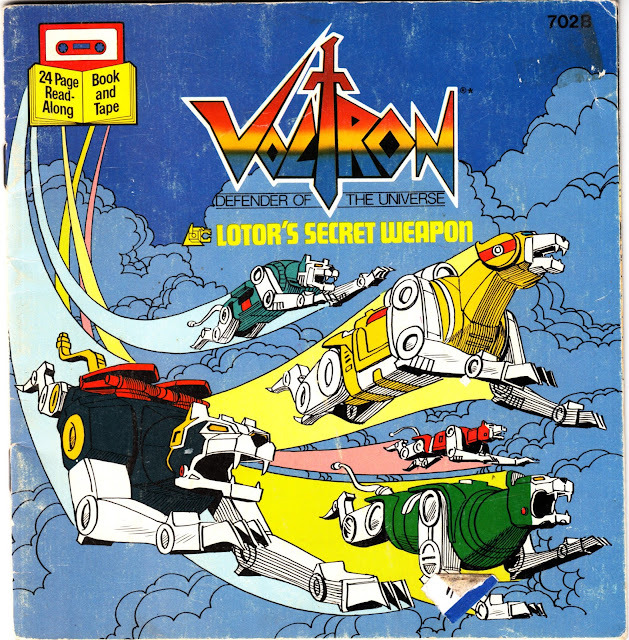 From days of long ago, from uncharted regions of the UHF dial, from television producers starved for toyetic robot action, it's Voltron! 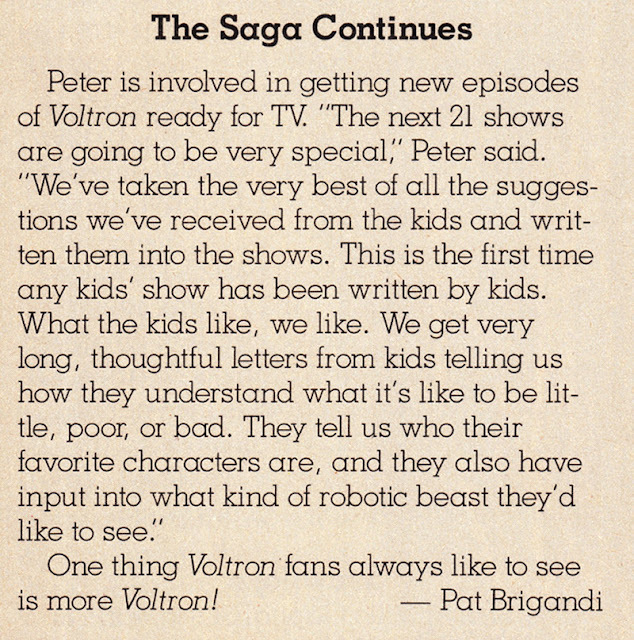 Here in the future we're faced with the prospect of yet another Voltron reboot, and it may be instructive to look back at a time in which Voltron conquered the hearts and minds of America through a wide variety of ancillary media. 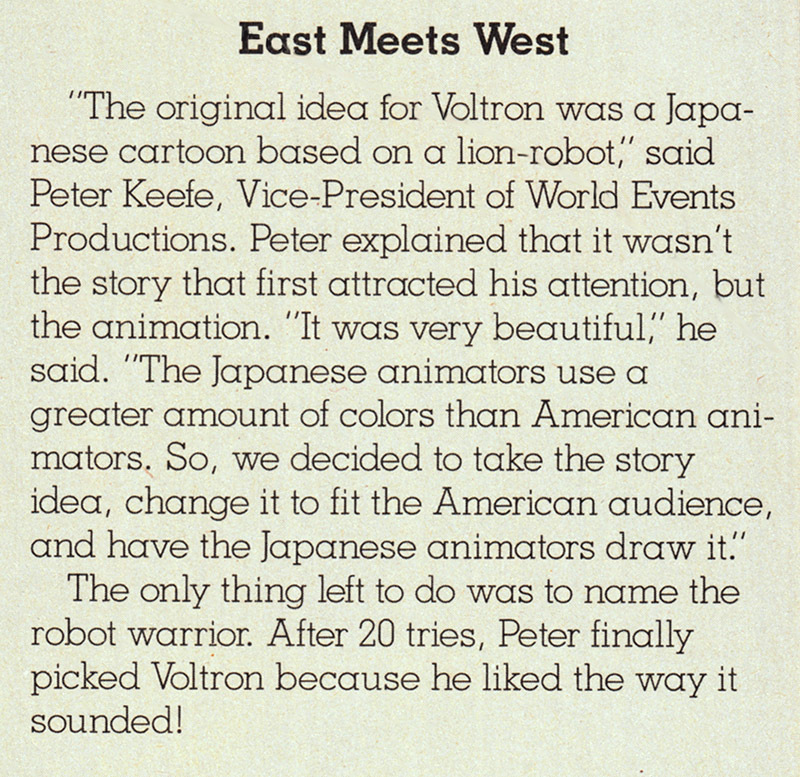 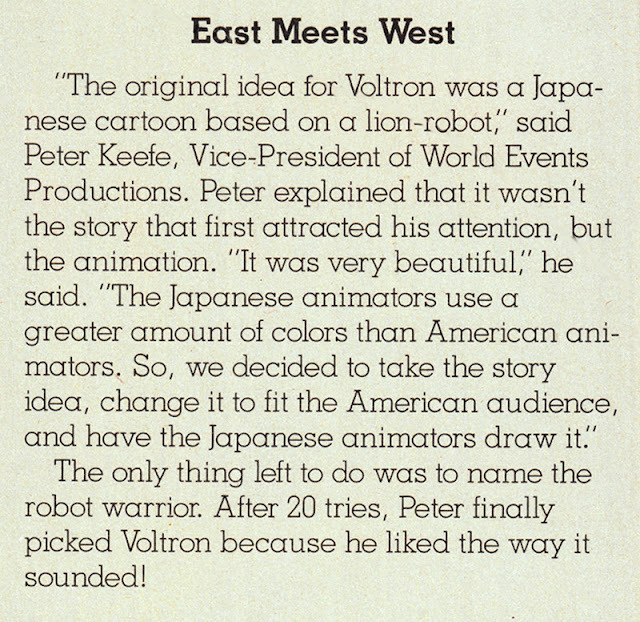 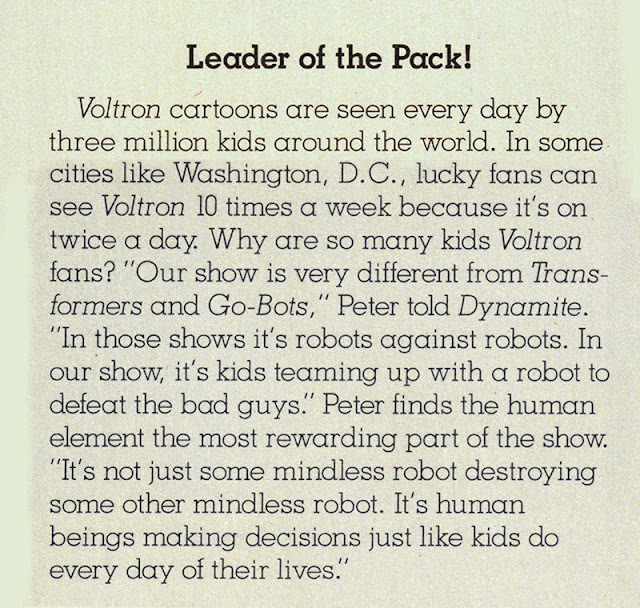 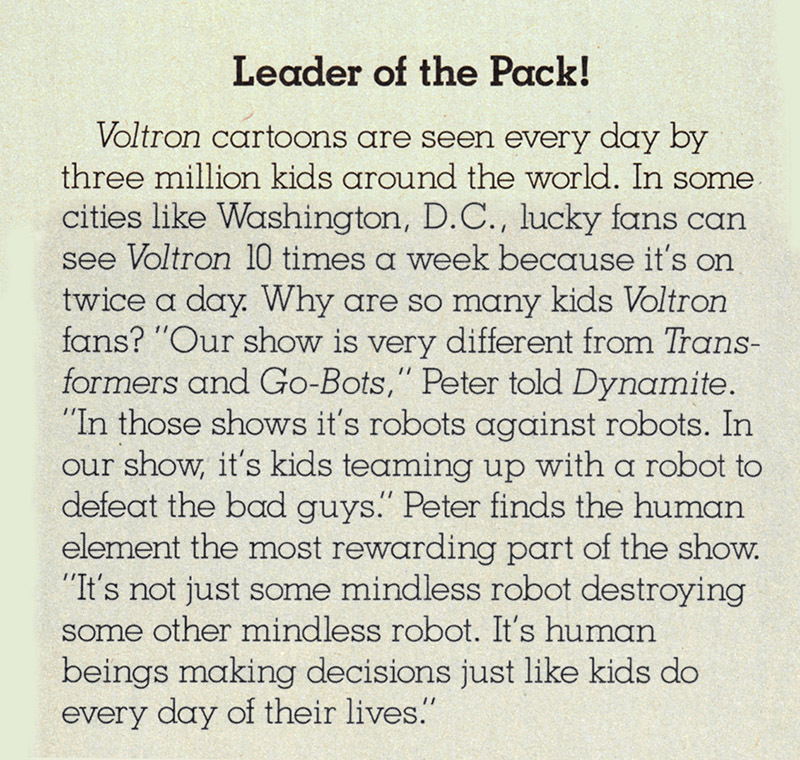 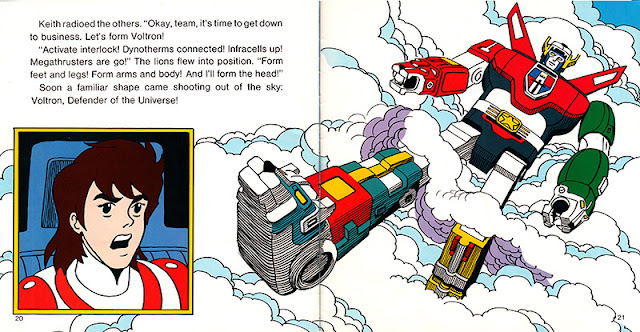 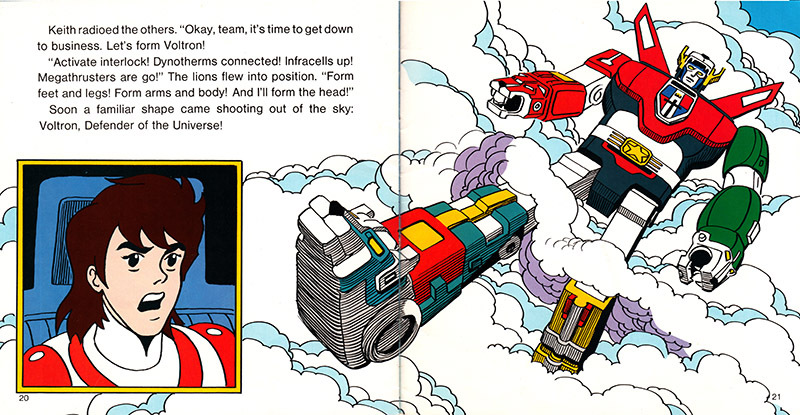 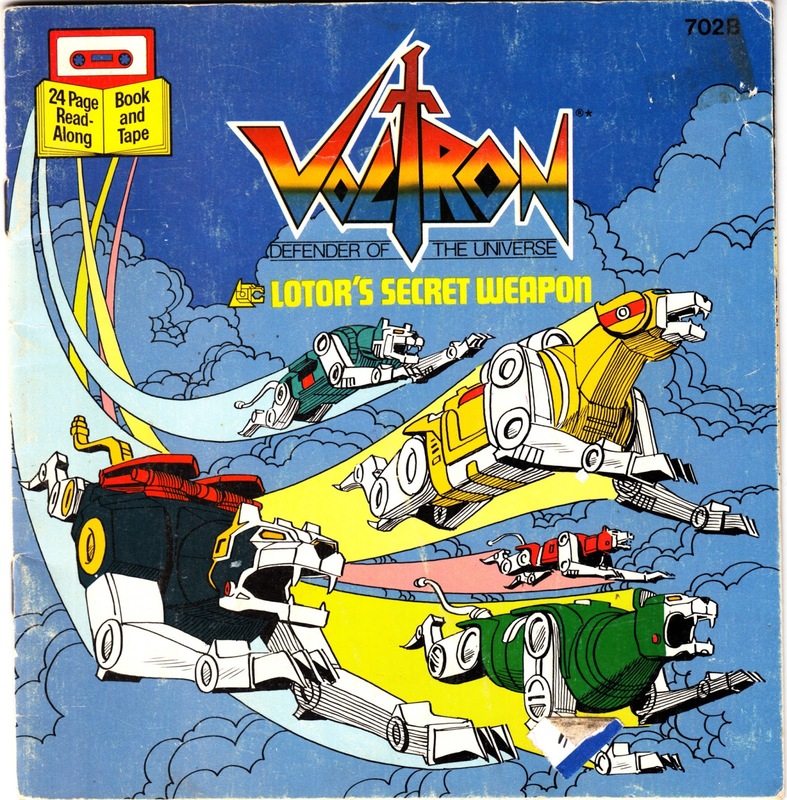 The October 1985 issue of Scholastic's DYNAMITE thrilled 80s kids with Punky Brewster, the popular features "Bummers" and "Count Morbida", and of course this in-depth report on Voltron. 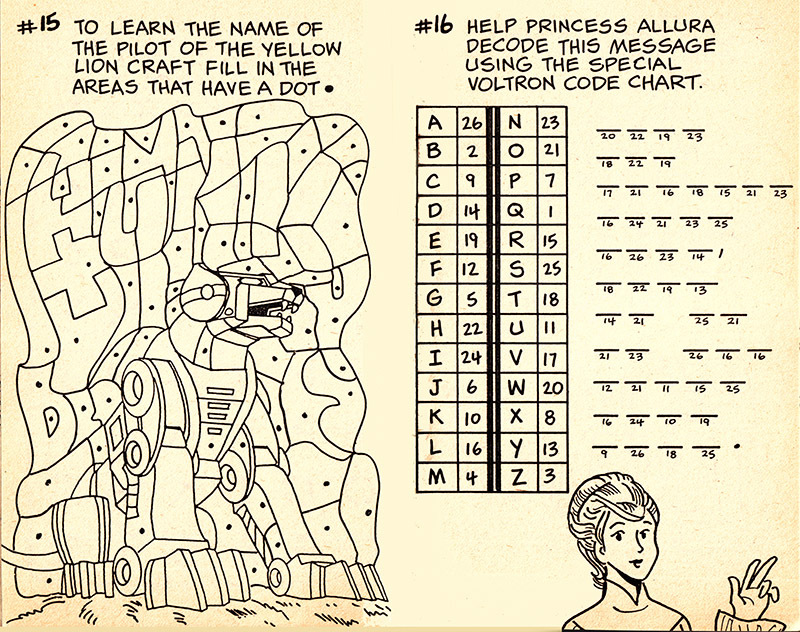 Kids could also enjoy Voltron via this "Galactic Activities" book of games, puzzles, and mazes, illustrated by the hand of Tony Tallarico whose work in the field of media tie-in comics has been examined at length by qualified researchers. 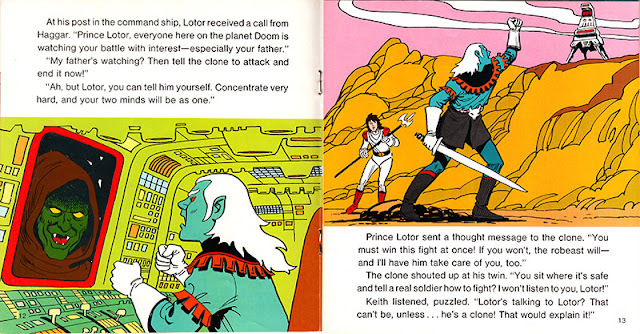 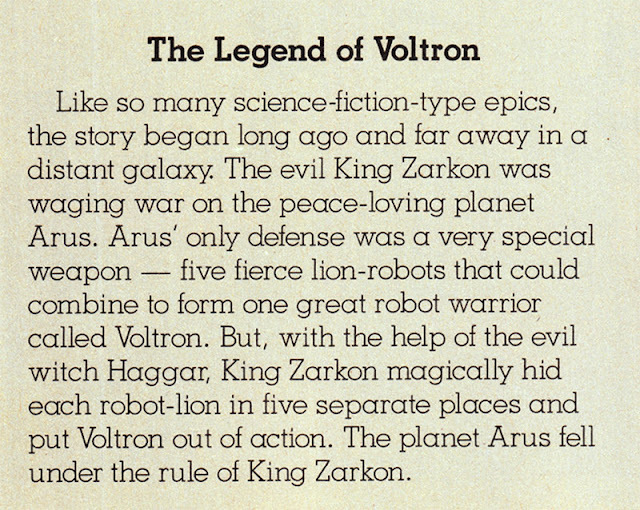 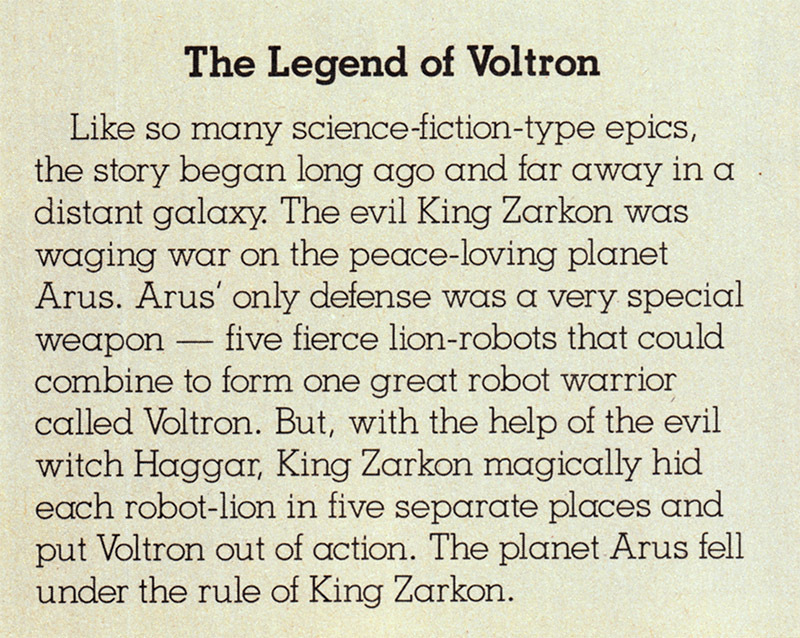 Kids could also enhance their reading skills by reading along with the cassette tape adventures of Voltron as they faced Lotor's Secret Weapon, which probably was the conditioner he used on his majestic, flowing, luxurious mane of hair. 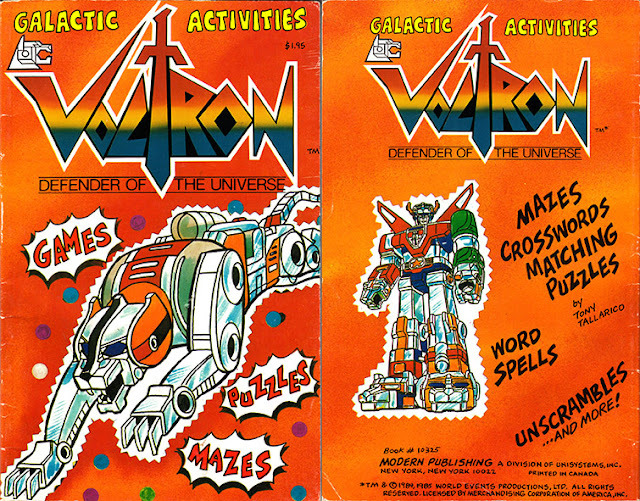 Kids could also enjoy educational play activity with the many Voltron toys produced by Panosh Place and by Matchbox. You don't want to be the kid on the playground picked to be Pidge, believe me. 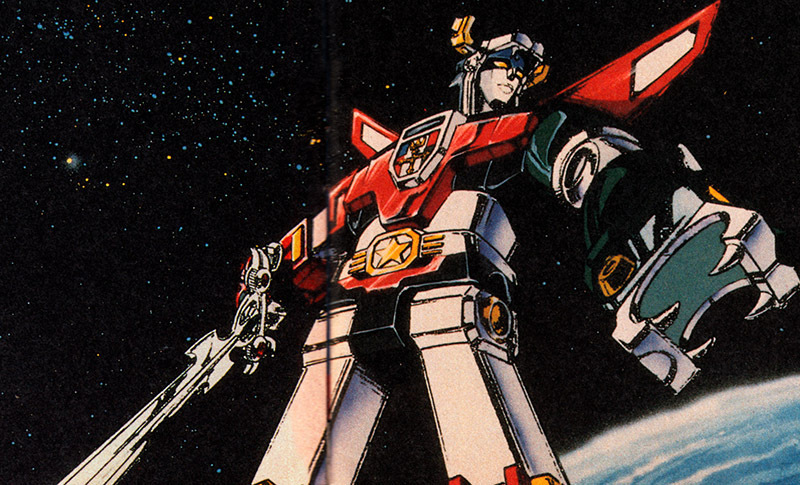 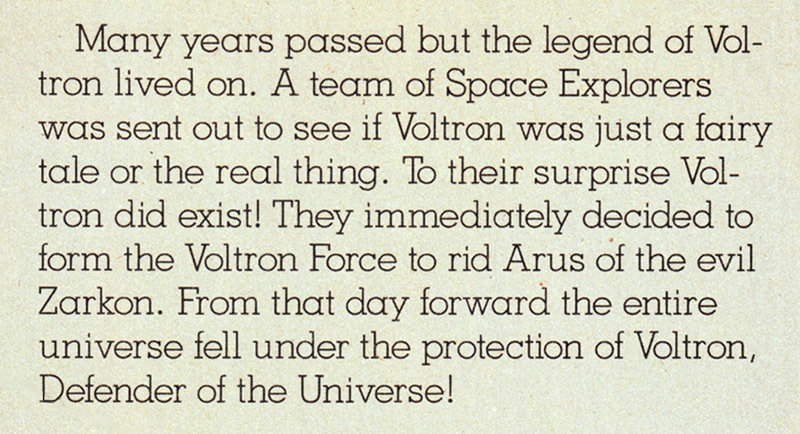 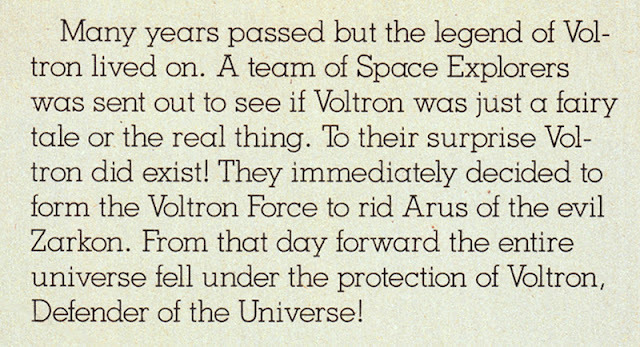 Anyway, the unstoppable force of Voltron rolled across America demolishing everything it is path, indelibly impacting American pop culture, and leaving its spoor of abandoned metal-box Lion Force Series DVD tins in used DVD stores throughout the land. Will the new Voltron series capture the hearts and minds and Christmas shopping lists of America as firmly as the old one did? 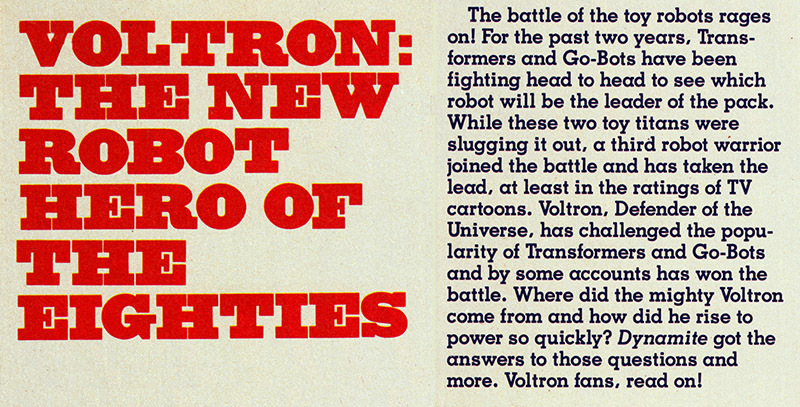 Only time will tell, because sadly Dynamite Magazine isn't around any more to give us the skinny. 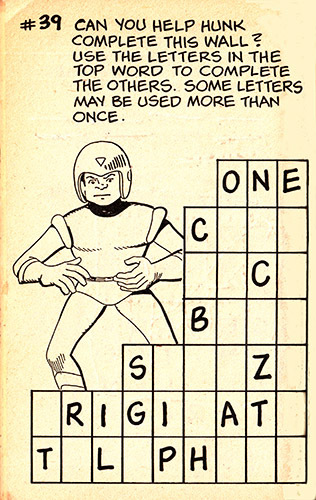 Meanwhile, here's a puzzle.